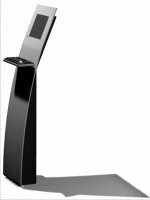 Ecom4 terminals are essential modules of interactive, electronic communication with customers. 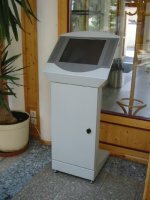 These terminals can be provided with local programs and commercials or be connected to the internet and display any information or data. 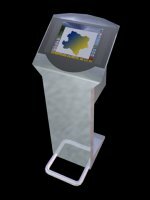 Simple indoor surfing stations, fair kiosks, electronic sellers in the outdoor area - our terminals offers impressive information to your customers. We can costumize the shape, material and color of the surf station - of course including company's own logo. The user interface can be realized from normal keyboard to touch screens in various sizes. 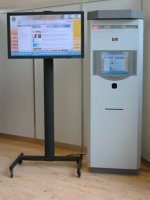 Additional equipment like printers, scanners, card readers, web cam, surf chairs,... is available. Any questions? We'd look forward to hear from you: office@ecom4.at!